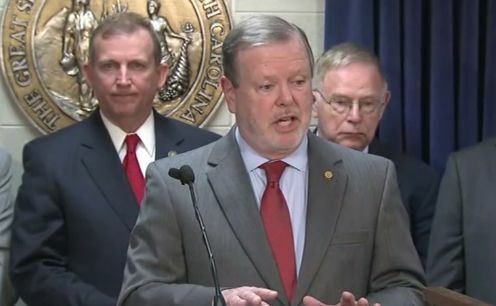 Senate leaders are trying hard to convince people that their anemic budget proposal moves the state forward by making big new investments in education and providing a middle class tax cut for most North Carolinians. The numbers tell a much different story. The N.C. Budget & Tax Center reports that the Senate spends well below the 45-year average as a share of the state economy and makes unwise cuts throughout their proposal. As for the tax plan, if the Senate reductions for the wealthy become law, millionaires in North Carolina will have received a total annual break of $20,000 thanks to the tax changes since 2013. Those changes are costing the state $3 billion a year in revenue—and digging a hole. The legislature’s own staff says this year’s tax cuts will lead to a $600 million budget shortfall in a few years and this year the cuts again forced budget writers to pick and choose what they would fund and who they would leave behind. The Senate does include another raise for teachers, an average increase of 3.7 percent, but many beginning and veteran teachers would receive less and all teachers would not do as well as they would under the pay proposal from Governor Roy Cooper. The Senate finally manages to give principals a raise—North Carolina ranks 50th in principal pay—but only makes a few other minor investments in education despite the state ranking 43rd in per pupil expenditures. State employees would get only a 1.5 percent pay increase and state retirees would see no cost of living increase at all. New state employees and teachers would no longer be eligible for health care benefits when they retire, which will make recruiting new employees even more difficult. The budget shuffles money around to reduce the waiting list of at-risk four-year-olds for NC PreK, though Governor Cooper found the money to eliminate the waiting list altogether. Senators couldn’t do that because they insisted on slashing taxes for corporations and the wealthy again and only increasing overall spending by 2.5% percent to meet an arbitrary formula of how much state government should grow. Never mind the children and families and schools left behind. There’s a partisan pettiness in this year’s Senate budget too. It eliminates the jobs of specific state employees in the Department of Environmental Quality and Department of Public Instruction while also making major cuts to both departments. 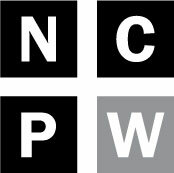 There’s a gratuitous $4 million cut to the law school at UNC-Chapel Hill, which comes to 30 percent of its funding from the state, while $3 million is spent on a new medical residency program for the medical school at Campbell University, a private institution. Senate leaders did manage to come up with the money to pay for a new executive protective detail for Lt. Gov. Dan Forest and his family and new staff for the UNC Board of Governors that is handpicked by the General Assembly. Republican Superintendent of Public Instruction Mark Johnson also gets new staff positions under his control while the State Board of Education that is battling Johnson has their staff reduced. The budget is also chocked full of state policy decisions that have nothing to do with funding, like a moratorium on new wind farms in the state. One bright spot is a provision to stop automatically trying 16 and 17-year-old as adults when they commit crimes, though that should be in a separate bill too, not in the budget. There’s plenty more and we probably won’t know the extent of what the Senate has done for a while. The budget bill comes to 358 pages and the report with the spending decisions is 499 pages long. No Senator or reporter or member of the public had the chance to read it before it was considered by budget committees early Wednesday morning after being posted on line just before midnight. There were no public hearings held on the budget, no testimony from experts about programs to fund, no input from most rank and file Senators. It was simply unveiled from on high by Senate leaders who will demand its passage. It’s the wrong way to put a budget together and the plan itself is the wrong direction for North Carolina, with its unwise tax cuts, petty partisan attacks, and woefully inadequate investments in education, human services and environmental protections. Reportedly, House leaders have been working closely with Senate budget writers in their secret meetings. Let’s hope not. But either way, there is still time for the folks running the House to come to their senses and start over. And that’s exactly what they should do.